This is a one piece mask and snorkel combination. 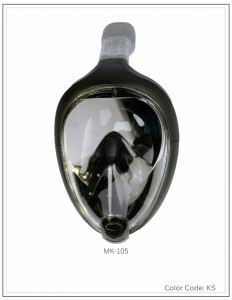 Because it is a full face mask, the swimmer can breath from both the mouth or the nose. It is a one size fits all mask with and adjustable head strap.